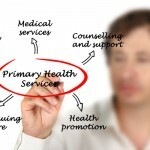 Primary care clinic for whole body health and wellness. How much money have you spent talking to doctors? Probably too much, especially since they usually tell you, “You’re healthy,” and send you on your way. Dr. Nicole has a drastically different approach serving as your first contact provider. A primary contact doctor is the doctor who spends time with you to listen, answer questions, and guide you through the healthcare channels. 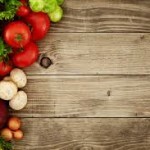 They do this to get you better and help prevent the disease process in the future. You know your body best. When you’re not feeling well or something seems ‘off’, no physician should tell you otherwise. 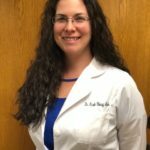 Dr. Nicole is a Primary Care Physician with experience and qualifications to get your diagnosis right. Whether you have a headache, sore throat, sprained ankle, or have been injured car accident Dr. Nicole can help. Most of our services could be covered by your Health Savings Account (HSA) or Flex Spending Account (FSA) depending upon your benefit package. Call today so Dr. Nicole can help you get answers to your questions and guide you on your journey back to whole-body health and wellness. 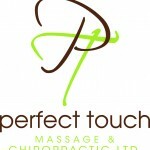 Please Note: Perfect Touch Massage & Chiropractic, Ltd. is NOT an emergency room or urgent care clinic. Everyone shows symptoms differently, but we all have similar structures and processes to our bodies. We look through the entire body to identify the ‘squeaky wheel’. We ‘fix it’ and get the body back to running the way it should – on its own. All without drugs and/or surgery. Please Note: Perfect Touch Massage & Chiropractic, Ltd. advises all patients to continue taking any/all prescription medications their medical doctor has prescribed them. With many complaints about the healthcare system – we hear you and are here for you! We keep our prices low so you can afford to be healthy. We do not accept insurance (unless you were involved in an automobile accident, a personal injury incident, or a workplace incident). Want to submit to your healthcare insurance? Please ask us how. We are a private practice Primary Care Clinic with a mission to impact our community, starting with you.